Your auto-rickshaw rides may soon get costlier and we know it’s not a piece of very good news but to save you sudden surprises, we thought of warning you in advance. So, A committee formed by the State Transport Authority of the Delhi Government concluded on Wednesday the discussion with transport buses, taxi and auto-rickshaws. The proposal is likely to be submitted in another two weeks to the concerned authority and things might get finalized real soon. So, you might want to go through your expenses if you commute via public transport to your workplace. At present, the auto fare is Rs. 25 for the first two Kilometers and Rs. 8 for every subsequent Kilometer. Now, the auto-rickshaw drivers have demanded Rs. 25 for the first Kilometer and Rs. 10 for every subsequent Kilometer. Also, the Grameen Sewa prices might get increased by Rs. 5 or Rs. 10. The Committee has also thought of waiting-charges so that might get added up to the distance fare. 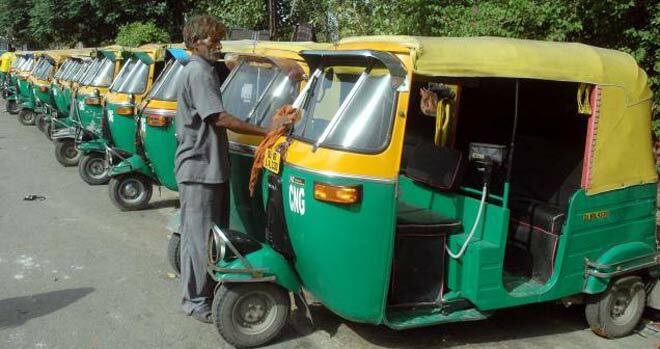 The auto-rickshaw fraternity has been complaining of the prices because they were last revised in May 2013. There has been a huge rise in the rates of fuel since then and it the price revisions are kinda due from the Governments side. So, looks like autos aren’t that easy on the pocket anymore. Save up and spend wisely.